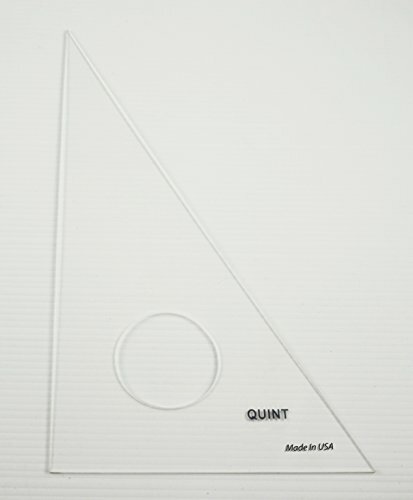 QUINT Premium Unbreakable Academic Triangles are manufactured from .040" clear plastic material that is guaranteed not to break under normal use, a perfect tool for the student. They are machine cut and the edges are hand polished for maximum accuracy. They feature a convenient circular cutout center for quick and easy lifting from any angle. Packaged in a heavy duty protective poly bag. 20 Pack. Made in the USA. If you have any questions about this product by Quint Measuring Systems, contact us by completing and submitting the form below. If you are looking for a specif part number, please include it with your message.